A new report from uOttawa’s Canadian Internet Policy and Public Interest Clinic (CIPPIC) prepared in collaboration with Carleton’s Geomatics and Cartographic Research Centre (GCRC) proposes a strategy for protecting traditional knowledge that is shared in the digital and online context. The report proposes the use of template licences that will allow Indigenous communities to set the parameters for information sharing consistent with cultural norms.. Traditional knowledge – defined by the World Intellectual Property Organization as “the intellectual and intangible cultural heritage, practices and knowledge systems of traditional communities, including indigenous and local communities” – is poorly protected by contemporary intellectual property (IP) regimes. At the root of the failed protection is the reality that Western IP systems were designed according to a particular vision of creativity and innovation rooted in the rise of the industrial revolution. It is a product of a particular social, economic and ideological environment and does not necessarily transplant well to other contexts. The challenge of protecting indigenous cultural objects, practices and traditional knowledge has received considerable attention – at least on the international stage – as it is a problem that has been exacerbated by globalization. There are countless instances where multinational corporations have used traditional knowledge or cultural heritage to their profit – and without obvious benefit to the source communities. Internationally, the Nagoya Protocol on Access and Benefit Sharing seeks to provide a framework for the appropriate sharing of traditional knowledge regarding plant and genetic resources. Innovative projects such as Mukurtu provide a licensing framework for Indigenous digital cultural heritage. What CIPPIC’s report tackles is a related but distinct issue: how can Indigenous communities share traditional knowledge about themselves or their communities while still maintaining a measure of control that is consistent with their cultural norms regarding that information? For years now, the GCRC has worked with Indigenous communities in Canada to provide digital infrastructure for cybercartographic atlases that tell stories about those communities and their land. These multimedia atlases offer rich, interactive experiences. For example, the Inuit Siku (Sea Ice) Atlas documents Inuit knowledge of sea ice. The Lake Huron Treaty Atlas is a complex multimedia web of knowledge that is still evolving. These atlases are built upon an open platform developed by the GCRC and that can be adapted by interested communities. The GCRC sought out the assistance of CIPPIC to explore the possibility of creating a licensing framework that could assist Indigenous communities in setting parameters for the sharing and reuse of their traditional knowledge in these contexts. The idea was to reduce the burden of information management for those sharing information and for those seeking to use it through a series of template licences that can be adapted by communities to suit particular categories of knowledge and contexts of sharing. This is a complex task, and there remains much work to be done, but what CIPPIC proposes offers a glimpse into what might be possible. A Canadian court has just handed down a decision in a case that interweaves interesting issues about copyright in data with issues around how the government can limit the scope of these rights in its view of the public interest. The case is complex – it involves a large number of defendants and is tied to a range of other law suits relating to the regulatory regime for oil and gas exploration in Canada. The complexity of the case is such that I will divide my analysis over two blog posts. This – the first – will address the issues around whether there is copyright in the data submitted to the regulator; the second blog post will deal with the issues relating to the curtailment of the copyright within the context of the regulatory regime. The plaintiff in this case and in the mass of related litigation is Geophysical Service Inc. (GSI). GSI is a Canadian company that is in the business of carrying out marine seismic surveys and licensing the data that it collected and a compiled as a result of its activities. It claims that its flood of litigation around the copyright and regulatory regime issues resulted from the fact that the government’s approach is driving it out of business. 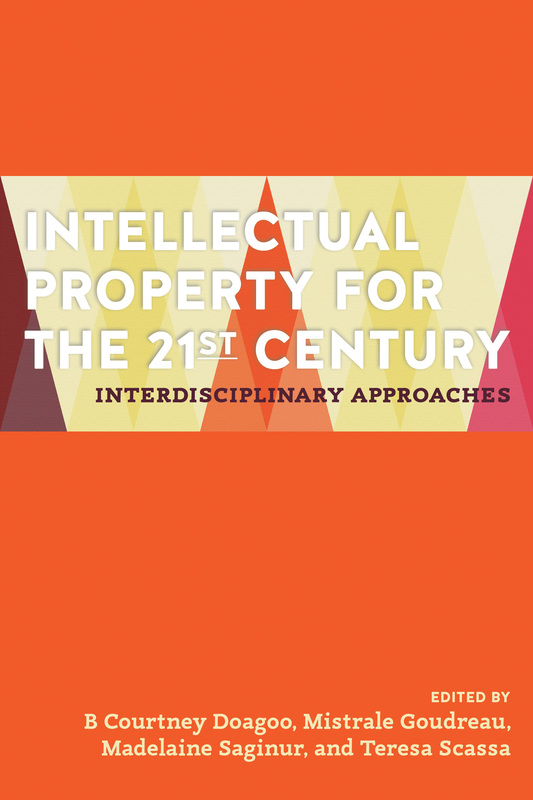 As copyright is often touted as providing incentives to create and innovate, GSI’s precarious status as an innovator in this area sets an interesting context for the issues raised in the litigation. In a nutshell, GSI – like other companies in this field – had to obtain a licence from the national regulator to conduct its expensive, time and labour intensive work. A condition of the licence was that the data it generated and processed into information products would be submitted to the appropriate regulatory bodies that oversee offshore oil and gas exploration. It is this data and the related information products that GSI claims is protected by copyright law. Under the statutes governing the regulatory process, data submitted to the regulator can be made public after a 5 year period. GSI was in the business of selling its data and information products to companies engaged in oil and gas exploration. GSI argued that the fact that the same data and analysis could be released to the public after 5 years, and was, as a matter of policy released between 5 and 15 years after its submission made its business ultimately unsustainable. They argued, therefore, that they had copyright in the data they collected and in the analytics they carried out on the data. They then argued that the regulator, by releasing this data to the public before the expiration of the copyright term, infringed its copyrights. They also maintained that the other private sector companies which made use of their data obtained from the public sources, violated their copyrights. The first issue, therefore, was whether the seismic data and related information products produced by GSI amounted to original works that could be protected by copyright law. It is a basic principle of copyright law that there can be no copyright in facts – facts are in the public domain. At the same time, however, it is possible to have copyright in a compilation of facts – so long as that compilation meets the requirements of originality. 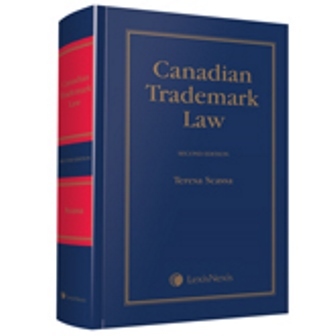 According to the Supreme Court of Canada in CCH Canadian v. Law Society of Upper Canada, originality requires that a work: a) is not copied; b) reflects an exercise in skill and judgment and 3) can be attributed to a human author. In this case, the defendants argued that the GSI data was ‘copied’ from the environment (i.e. it was factual material not protected by copyright law); that its collection and compilation did not involve sufficient skill and judgment because it was in part automated, and in part collected and compiled according to industry standards; and that the technology-assisted and highly human- and other resource-intensive process involved in its collection and compilation meant that it did not originate from an identifiable human author. Having found copyright in the compilation of raw data, it is not surprising that the judge also found copyright in the processed data as well. She found that substantial skill and judgment went into the processing of the data, stating that “The raw data is not simply pumped into a computer and a useful product comes out.” (at para 83) She found that the quality of the processed data is very much dependent upon the participation of a skilled processor, and that different companies would produce different processed data from the raw data depending upon the skill of the processor involved. Justice Eidsvik also found that the requisite human author was present. In doing so, she addressed the Telstra decision from the Australian High Court which had found no copyright in a telephone director in part because it was created following a largely automated process in which there was relatively little human input. In this case, she found the human input to be a significant factor in determining the quality of the output at both the stage of acquisition of the data and the processing stage. She reviewed the few Canadian cases involving compilations of data, noting that in cases where human input is more significant in terms of the choices made in arranging the facts, the courts accept that the compilation is original. Justice Eidsvik rejected the argument that it is necessary to identify a specific human author in order to find copyright in a complex factual work. She accepted that a team of “authors” could create a factual compilation. Nevertheless, she was also prepared to identify in this case the head of the seismic crew on the ship as the author of the raw data and the person in charge of the computing as the author of the processed data. She noted as well that in this case the actual owner of the copyright would be the employer of both of these individuals – GSI. In finding copyright in both the raw and the processed data, Justice Eidsvik was careful to note that she was not deviating from the principle that there could be no copyright in facts or ideas. She found that the “seismic data is an expression of GSI’s views of what the image of the subsurface of the surveyed areas represents.” (at para 97). The raw facts – the features of the subsurface – are there for anyone to see and are in the public domain – but the data collected about those facts is authored. Critical data theorists will recognize in here the seeds of the essential subjectivity of collected data, where choices are made as to how to collect the data, and according to what parameters. Based on the facts of this case it is not surprising that Justice Eidsvik would conclude that there was copyright in both the compilation of seismic data and in the processed data. Her extensive review of the process by which the data is first collected and then processed reveals a substantial amount of skill and judgment. In a “datified” society, the decision may give some comfort to those who collect and process all manner of data: their products – whether compilations of raw data or processed data (analytics) – are works that can be protected under copyright law. Such protection will be dependent upon an ability to show that the collection and/or processing involve choices motivated by skill and judgment, rather than mechanical decision-making or compliance with industry norms or standards. While for GSI it was a victory to have copyright confirmed in its data products, the victory was largely pyrrhic. The second part of the decision – and the part that I will consider in a subsequent blog post – deals with the regulatory regime which the court ultimately finds to have effectively expropriated this copyright interest. Stay tuned! Is there any such thing as a free app? In Albilia v. Apple inc, Justice Pierre Nollet of the Quebec Superior Court authorized a class action law suit against Apple in relation to the collection of personal information by third party application (app) developers via Apple devices such as the iPhone and the iPad. The petitioner alleges that Apple encourages and supports the development of third party apps as a means of bolstering the popularity and sales of its devices. He also alleges that Apple permits third party app developers to harvest personal the information of users from their devices without their knowledge or consent. In particular, he alleges that such information may include precise location information, the unique device identifier, the user’s name, gender, age, postal code and time zone, information about activities performed using the app. He also alleges that this ongoing harvesting of personal information uses up the resources of the devices without the permission of the device owners. The class action is similar to two others that have been filed in the United States against Apple. Although the petitioner initially sought to certify a Canada-wide class of affected persons, the judge limited the class to Quebec residents. He did so because the petitioner had failed to establish that the laws in relation to privacy across Canada were equivalent to those in Quebec. Indeed, although there are some similarities, it is fair to say that both the Civil Code of Quebec and the Quebec Charter of Human Rights and Freedoms offer both different and quite likely more extensive protection for privacy than do the laws in the common law provinces and territories. all residents in Quebec who have purchased or otherwise acquired an iPhone or iPad (“iDevice”) and who have downloaded free Apps from the App Store onto their iDevices since December 1, 2008 through to the present. all residents in Quebec who have purchased or otherwise acquired an iPhone and turned Location Services off on their iPhones prior to April 27, 2011 and have unwittingly, and without notice or consent transmitted location data to Respondents’ servers. The questions to be explored in the class action law suit include issues regarding whether the respondent Apple facilitated profiling of individual users or disclosed personal information without users’ consent to third party app developers. Other issues include whether location information could be collected from devices even after the location services functions are turned off by the user. The litigation also involves issues relating to consent by users to information gathering practices by both Apple and app developers. In bringing his motion the petitioner referred to a recent study by Eric Smith that detailed the information collecting practices of iPhone apps. The collection of personal information from mobile devices – including data about a user’s online activities and detailed location information – raises significant privacy concerns. Many “free” apps may use information gathering as a means of generating a revenue stream; the information gathered may have nothing to do with the functions of the app itself. Users of mobile devices may not be sufficiently aware of the detailed location information that can be collected and shared when the location functions of their device are turned on; alternatively, they may turn these functions on specifically to enable certain useful features of their device without realizing that the same information may also be collected and used by apps whose functions are completely unrelated to their location. As with many other contexts, the user who downloads apps may have little time or attention to allocate to reading the detailed user agreements and privacy policies that may accompany their new apps. While courts may continue to insist that users are bound by these agreements, there is a growing concern that the sheer number, complexity and length of such agreements makes informed consumer consent virtually impossible on a consistent basis. Class action law suits advance with glacial speed, and it is not likely that the questions raised in this dispute will be answered any time soon. Yet it is important that they be asked both here and in other contexts. The burden of privacy, in particular of protecting one’s personal information from unwanted profiling and surveillance, is becoming increasingly challenging for individuals. Not only is it difficult to grasp the full range of information that is being collected, by whom, and for what purposes, as we engage in perfectly ordinary day-to-day activities, secondary access to this information by third parties, including police and other state authorities is not at all transparent. In addition to greater scrutiny of data collection practices, attention must also be paid to the issue of consent, which is increasingly becoming a fiction in the face of turgid and impenetrable legal texts accompanying every small piece of software in our lives. Years ago I visited what was then Czechoslovakia shortly after the collapse of communism in Eastern Europe. I remember commenting to a local on the difficulty of navigating the city with the available map. He laughed and remarked that the mapping policy of the government had been that if you were supposed to be somewhere, you knew how to get there. If you didn’t know how to get there, you weren’t supposed to be there. According to him, the official state maps implemented this policy. It was an interesting lesson in mapping as a method of social control. Last week, a story in the Times of India announced that police in India had launched an investigation of Google for a mapathon it organized. The mapathon essentially invited Indians to contribute geographic information to the Google Earth platform with a view to creating richer and better maps of India. The company offered a variety of prizes and incentives to encourage participation. The official Indian mapping agency, the Survey of India filed the complaint with the police, apparently alleging that the mapathon was both illegal and a threat to national security. The case is an interesting one. It is certainly true that many states that are vulnerable to terrorism, seek to control public information about certain locations, facilities and installations as a security measure. Certainly, given recent events, no one would argue that the Indian government’s concerns about terrorism are exaggerated. At the same time, in our digital, interactive world, ordinary citizens walk around with powerful computing, recording and communication devices in their purses and pockets. All manner of easily accessible apps and tools exist to create vast repositories of multimedia information about just about anything. In this context, it seems rather futile to resist participatory mapping projects on security grounds. After all, if ordinary citizens can gather and share sensitive geographical data using their mobile phones, so can terrorists. A major company like Google may well be receptive to genuine security concerns over particular data added to their collaborative maps, and might be persuaded to modify, blur or generalize certain entries. Perhaps the bigger concern in this context is not so much security, as it is the shifting of control over mapmaking from a national mapping organization to a multinational corporation with its headquarters in another country. For countries with a history of oppressive colonization, this may seem like a threatening development. The Survey of India describes its mission in nationalistic terms: “Survey of India bears a special responsibility to ensure that the country's domain is explored and mapped suitably, provide base maps for expeditious and integrated development and ensure that all resources contribute with their full measure to the progress, prosperity and security of our country now and for generations to come.” Maps have always been powerful political and social tools, and there is nothing neutral about how many states have chosen to represent geographic information. The loss of control over one’s national maps to an outside entity may well be experienced as a loss of sovereignty. But of course, sovereignty, in this context also involves the imposition of one story over alternative narratives. Digital technologies and a globalized society open the doors to competing accounts of our physical, social and political spaces – and such accounts are increasingly difficult to control. This conflict between Google and the Survey of India is almost certainly about more than national security, and the outcome of any police investigation may do little to tell us who the winners or losers will ultimately be. Recently I have blogged about the controversial interactive map created by the New York Journal News which showed the names and addresses of gun permit holders in two New York counties. I then followed this up with another posting about how the data on the map was substantially inaccurate. Both the map and its aftermath raise interesting issues about public data, open government and privacy rights. This decision is an interesting one in that it tackles head on the thorny problem of what to do with public record information that includes the personal information (names and addresses) of individuals. When made available in electronic form, this information can be used to create all manner of information maps (among other things) that might generate far greater privacy concerns than the original government record. The infamous gun permit map is an example of this. Consider also the Proposition 8 map – a map that plotted the names, addresses and donation amounts of all contributors to a campaign to ban gay marriage in California. Open government and open data principles favour the disclosure of government information in digital “re-usable” formats to serve a variety of public purposes which include promoting transparency and accountability. While access to information legislation generally permits a government department or agency to refuse disclosure of third party personal information in response to an access request, this limitation does not apply to information that is already part of a public record. In Canada, the Personal Information Protection and Electronic Documents Act (which governs the private sector use of personal information) creates exemptions to rules around the collection, use and disclosure of “publicly available information”. According to the regulations, this category of information expressly includes “personal information that appears in a registry collected under a statutory authority and to which a right of public access is authorized by law”. While it is true that the exemption is limited to instances “where the collection, use and disclosure of the personal information relate directly to the purpose for which the information appears in the registry”, given that the information appears in the registry for purposes of transparency and accountability, republishing the information would likely fit within those purposes. In any event, newspapers are largely exempt from the application of this law where personal information is collected, used or disclosed for journalistic purposes. The result is a significant gap in Canadian privacy law when it comes to public registry data. The Office of the Privacy Commissioner of Canada is already aware of the problems that open government and open courts principles may raise when it comes to the electronic dissemination of “public record” information. For example, the Commissioner has issued guidelines to administrative tribunals to assist them in their decision-making around the online publication of decisions that might contain detailed personal information. Clearly the OPC is of the view that open online access can change the privacy equation. Balancing the interests of open government and privacy is a significant challenge – and not an easy one. I doubt we have heard the last on this issue. A New York newspaper created a furore by publishing, in the wake of the tragic school shooting in Newtown, Connecticut, an interactive online map that displayed the names and addresses of residents holding permits for guns. The newspaper obtained the data through an access to information request. The map was accompanied by an article with the title: “The gun owner next door: What you don't know about the weapons in your neighborhood." The map and article provoked outrage. Gun owners were concerned about their privacy, and one news agency ran an interview with a retired burglar who suggested that the map would make burglars’ work much easier. A blogger responded to the map by creating another map which featured the names and addresses of the staff of the newspaper. The newspaper has reportedly had to hire armed guards to protect its main office. This is, of course, not the first time that controversial information maps have been created by news agencies or by others. In California, for example, information about election donors is a matter of public record. Someone used this information to publish a map detailing the names, addresses and contribution amounts of individuals who had donated to a campaign to amend the State’s constitution to prohibit gay marriage. Widely available Web 2.0 tools and resources have made it easy for almost anyone to create online maps. The ability to present information in a geographical context is an attractive option. Information maps are visually appealing, and can reveal patterns and permit connections that might not be evident from data presented in the form of lists or plain text. For example, Patrick Cain, a Canadian journalist, has been creating innovative and fascinating information maps for many years. Perhaps one of his most useful maps is his annual map of busted grow-ops in Toronto. There are real risks associated with purchasing a house which was once used for a grow op, and there is no obligation on sellers to disclose this information. The grow-op maps provide important and easily accessible information for those searching for a new home. While there is no doubt that information maps can be useful and important, there are also potential risks. There is a great deal of publicly available information collected by different levels of government. For example, many registers of public documents, and decisions of administrative tribunals are already accessible to the public. The Privacy Commissioner of Canada has expressed concerns about the consequences of placing this sort of information online; in the past, public access was available only to those who took the trouble to show up at specific sites to view the entries in the register. This implicitly limited access to this information. While some of this public information might be very usefully presented to the public in map form (see, for example, the maps of crime reports in Ottawa) other information may have serious privacy or security consequences if disclosed online and in map form. Privacy and data protection laws in Canada do not offer a great deal of protection in this regard. While governments are bound by privacy legislation that protects against the disclosure of personal information in the context of access to information requests, a great deal of other government information is part of public registers. Individuals who disclose information on maps for personal, non-commercial purposes may be exempt from the application of national or provincial private sector data protection laws, and these laws also create exceptions for information that is collected, used or disclosed for “artistic, literary or journalistic purposes”. (I recently published a law journal article on this issue. )Thus, for example, a news outlet in Canada that did something comparable to the New York-based newspaper described above might well be insulated from recourse under data protection laws because of their “journalistic purposes” in doing so. There is, of course, a tricky balance to be struck. Personal privacy and individual security are important values, but so are those served by open government (transparency, accountability) and by the freedom of expression. Indeed, the Supreme Court of Canada is expected to rule sometime in the coming year on the constitutionality of the exception for journalistic purposes in Alberta’s private sector data protection legislation. That decision may give us some guidance on the tricky balance between freedom of expression and the protection of privacy. In the meantime governments must continue to examine how best to achieve the goals of openness while at the same time protecting individual privacy and security. Who owns copyright in documents created by private individuals for public purposes? This issue has been raised in at least two recent motions for certification of class action law suits for copyright infringement in the Ontario Superior Court. The first of these, Waldman v. Thomson Reuters Corporation, resulted in the certification of a class action in February 2012. The plaintiff represents lawyers in private practice who object to the incorporation of court documents authored by lawyers into the defendant’s commercial databases without consent or compensation. The documents at issue include pleadings, notices of motions, affidavits and factums. All of these documents must be filed in court, and become part of a public record during the course of litigation. These court documents are already available to the public through different channels – for example, the public can obtain copies of documents in court records by visiting a court office and by paying the prescribed fees. Some documents are also now made available online by courts. The plaintiff in the class action suit in Waldman objected to the inclusion of these same documents in a commercial, for-profit service. More recently, the Ontario Supreme Court has refused to certify a class action lawsuit brought by a land surveyor who objected to the inclusion of land survey documents in Ontario’s online land registry system Teranet. Copies of documents in Teranet are available to the public for a fee. The plaintiff in Keatley Surveying Ltd. v. Teranet Inc. argued that the survey documents were works in which copyright subsisted and their inclusion in the database without licence or compensation was a violation of those copyrights. Both cases raise interesting issues regarding privately authored documents that are drafted as part of public processes, and that must necessarily be accessible to the public as a matter of public policy. Indeed, David Vaver has argued, in an article about the specific issue of copyright in legal documents, that in addition to the usual fair dealing exceptions in the Copyright Act, there may also be arguments around custom and public policy that permit copying without need for permission. Of course, this does not address the issue of whether a private company can commercialize access to the public documents without licence or compensation, and it will be interesting to see the outcome of the Waldman case. The Keatley motion to certify was rejected by the court because it did not meet any of the criteria for certification of a class action. Among other things, the court was not convinced that there was an identifiable class of similarly affected individuals for the plaintiff to represent. This was because many prominent surveyors and land survey companies were involved in the design and creation of Teranet, and it was not clear whether any other surveyors in Ontario shared the plaintiff’s views on the copyright issues. Further, the court noted that membership in the proposed class would depend on the outcome of the litigation – the proposed class defined itsmembers as those who were holders of copyright in land survey documents, and one of the issues to be determined was whether land surveyors actually had copyright in their documents. If they did not, there could be no member of the class. Nevertheless, there were some interesting issues raised in the lawsuit, and it is unfortunate that their consideration must be left to another day. For example, Teranet argued that if there is copyright in the land surveys, it lies with the provincial Crown. Crown copyright arises under s. 12 of the Copyright Act where a work is “prepared or published by or under the direction or control of Her Majesty or any government department”. Teranet argued that the provincial laws and regulations governing the creation and use of plans of survey amounted to direction or control over the creation of the works by the Crown. In the words of the court, “Legislation dictates the manner in which the survey is conducted, the content of the plan of survey, the form of the plan, and even details of the plan’s physical appearance, such as the type of paper used, the shape of the paper and the type of ink used.” (at para 102). If this type of direction or control can be said to give rise to Crown copyright, it might have interesting implications for a very broad range of other documents and data prepared under strict rules, standards or guidance – including, perhaps, some legal documents prepared for and submitted to courts. Teranet also argued that Ontario’s Land Titles Act and the Registry Act both provide that deposited and registered plans are the “property of the Crown” and that this supports a finding of Crown copyright in the documents.. Of course, this same wording could easily be interpreted to refer to property rights in the physical document and not the underlying intangible intellectual property rights. Since copyright is a matter of federal jurisdiction and since s. 12 of the Copyright Act specifically addresses the circumstances in which Crown copyright arises, an interpretation of provincial legislation that creates a new basis for Crown copyright (the deposit and registration of documents) might take the legislation beyond the scope of provincial competence. Nevertheless, the court was of the view that “a compelling case can be made that copyright belongs to the Crown, based on s. 12 of the Copyright Act and the statutory regime that governs plans of survey”( at para 113), although it stopped short of actually drawing this conclusion. This is a complex and interesting question, and one with implications in many other contexts. While Waldman will not answer these specific questions, it may provide some important insights on issues of fair dealing, custom and public policy (certainly, in the case of land surveys there has been a longstanding practice of providing copies to members of the public for a fee – even prior to the development of Teranet). These arguments, which provide a justification for the exercise by others of the exclusive rights of authors, seem far preferable to arguments that the state has expropriated these same rights through the creation of a registry system. The last decade has seen a rapid growth in the number and variety of location-based services that are available to consumers. While some of the older location-based services are tools such as GPS and other navigation systems, more recent innovations include applications that permit users to call up a variety of different information about their current locations, such as the nearest Italian restaurant, or the best deals at a favourite store. Location-based services (LBS) also allow individuals to share their location with friends in a wide range of social networking contexts. Location-based services are already shifting from pull to push applications. Information can now be pushed automatically to users based on their location. The options for such services are virtually limitless, and include mobile-marketing, public transportation applications, information about local points of interest, health care applications connected to remote treatment systems, or tools to find the closest election-day polling booth. There is no doubt that many location-based services offer real benefits to users. Yet location-based services raise inevitable user privacy concerns. These concerns operate on multiple levels and involve many players. In some applications, privacy issues will arise between individual users, where, for example, applications permit the tracking of movements of family members, co-workers or “friends”. Location-based services may also result in the collection of a new layer of personal information about consumers by private sector companies. Information about individuals and their movements has meaningful commercial value, and the potential for the collection, use and disclosure of this information is significant. Location-based services also raise the spectre of state surveillance of individual activity – either concurrent with an individual’s movements (tracking), or retrospectively, through searching records of individual patterns of movement. These are just some of the contexts in which privacy issues are raised. In this paper we describe location-based services, their evolution and their future directions. We then outline privacy issues raised by such services. We consider how current Canadian data protection laws apply to location-based services, and indicate where such laws fall short of addressing the full range of issues raised by location-based services. We also explore some technological methods to address the privacy challenges raised by location-based services. The paper concludes with a series of recommendations.